Discussion in 'General Knife Discussion' started by rpn, Apr 14, 2018. From the looks of these knives I have...I'm a step away from buying at the area jails..."You know who makes the best toothbrush shanks? Joey...you need one of his for your collection." Any other fans of the shankariffic knives? buckfynn, grownstar, ggw and 3 others like this. What in the hell did you do with that 710? Second thoughts, don’t tell me. mmmotorcycle, rpn and danbot like this. How about a Liong Mah Tempest LE? Not so impressed. No daggers? anthonycastorena2014 and Rhinoknives1 like this. Only about 49 or 50 LEs out in the wild. They were sold in person by Liong Mah at Blade 2016, iirc. Have a couple but nothing I am crazy about. I keep buying daggers but end up disappointed I'm sorry to say. Thinking of trying a RMJ Raider or Mark I. 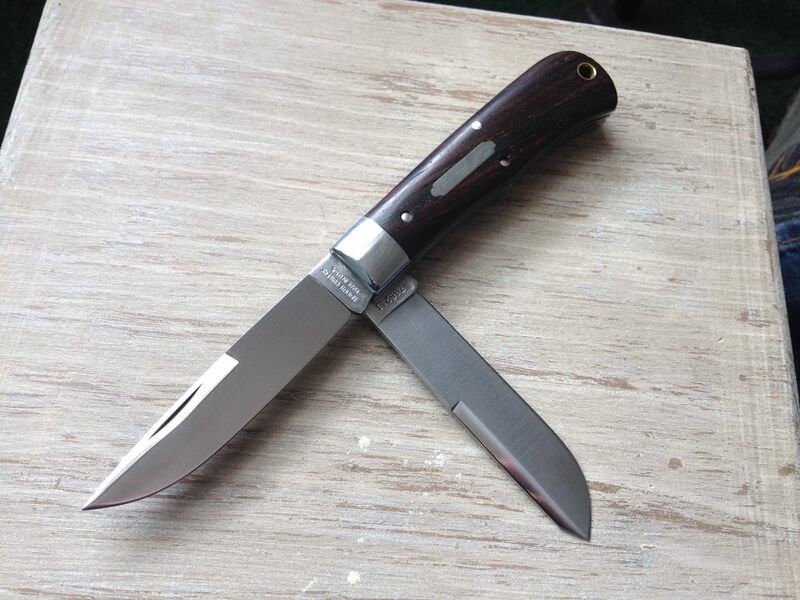 Decided to wait it out for the Emerson Kwaiken...just got it last week and love it. Lapedog and NJBillK like this. If you want Stabby, go with Daggers. Pointy & large cross section to let blood out & air in.. what you have are really more Slicey! I like slicey & Choppy! NJBillK and rpn like this. Oh that Bandicoot, Operator, Kwaiken, Gentleman Jim are all staborific! But I hear you...a few of those do also slice and slash like hell too. One of my favorite descriptions I read was about the Bandicoot...part knife, prybar and ice-pick! Part of my dagger disappointment is they my Ek and CRKT is that they feel more...strictly linear. The swedge on the primary blade makes it one helluva piercer. I tend to prefer thicker tips, though. Where I can stab through an aluminum can and not have to worry about tip damage(I don't do it that often.. ) haha. 4mer_FMF and rpn like this. This collection needs a ZT 452 in the mix. @McFeeli me too. I don’t really pry with my tips but I like them to be thick. If I can’t pry a pop can tab up with the tip I am wary of it. rpn and danbot like this. Have a couple but nothing I am crazy about. I keep buying daggers but end up disappointed I'm sorry to say. Have you tried the Cold Steel Tai Pan? katanas and Man with no name like this. Boo’s Blade Smoke has a profile I believe the OP would like. Though it is only 3.5 inches I believe. grownstar and rpn like this. A great choice would be the Randall Model 2-8 in stainless, as it has all the proper features a dagger should have: Thin slicy edge, despite the narrow blade profile, length, and the light weight of a stick tang. 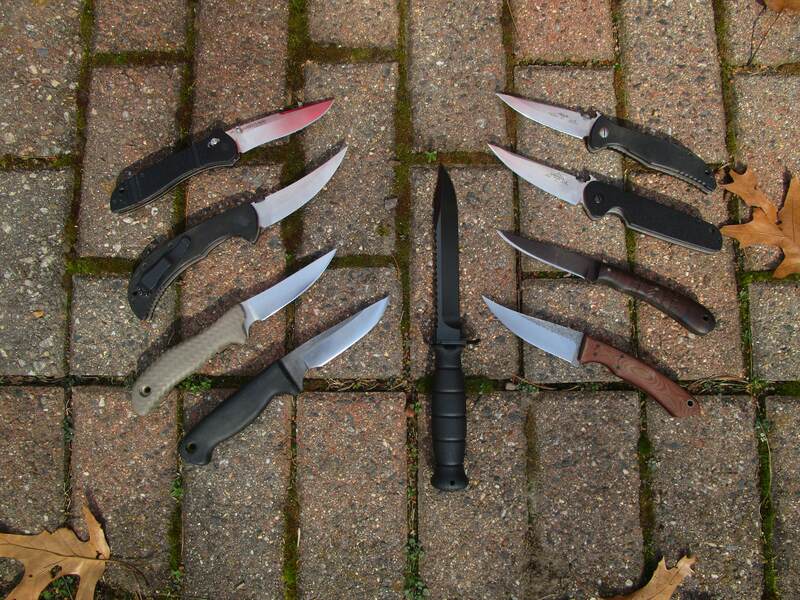 The great advantage of daggers is they are ground four ways, which, combined with a stick tang, makes them the lightest of all fixed blade for a given stock: Typically 20-30% less than a single edge fixed blade. Don't choose a model that ruins this with a full tang, or large, heavy metal guards and pommels...: Kraton or Zytel wrapped around a narrow stick tang is optimal (and usually old and rare now, unfortunately). Slicy and narrow daggers are hard to get there, but it is possible. 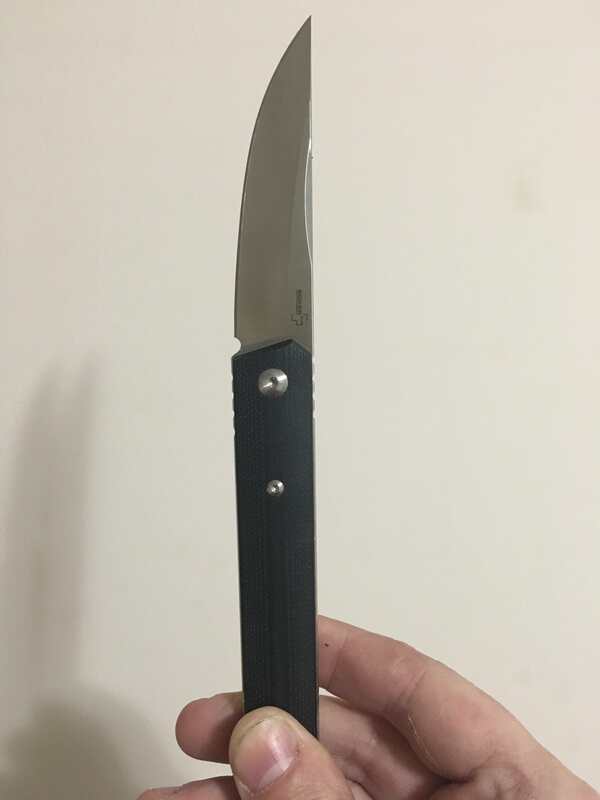 Cold Steel Ti Lite is as stabby as I got. I find it pretty much useless. But I find it pretty much cool. danbot and AF like this.